Teaching at the Right Level (TaRL), an education approach pioneered by education NGO Pratham, is designed to help ensure that all children learn the basics of reading and mathematics in primary school. The approach, developed and strengthened in India, is now taking root in Africa. African organisations and governments inspired by the TaRL evidence and faced with similar educational challenges to those in India – children in school but not learning – have begun to adapt the approach for their contexts. 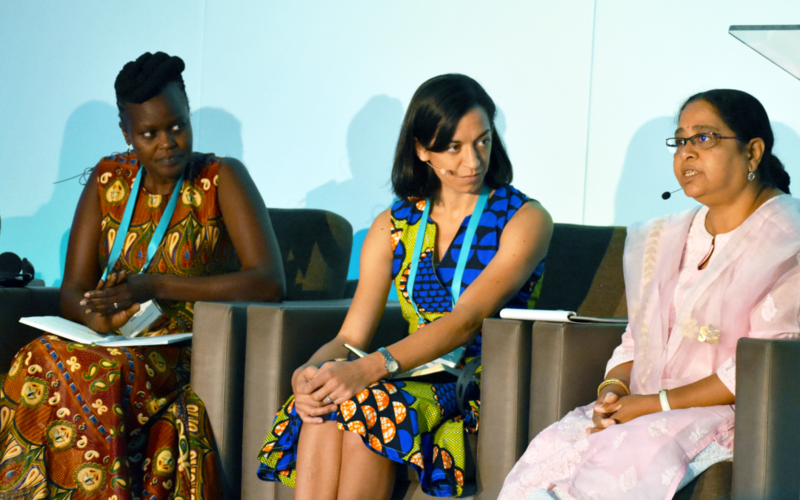 To facilitate learning across these different contexts, Pratham and J-PAL Africa hosted a TaRL Conference from 26-27 September in Johannesburg, South Africa. The event marked the launch of the new TaRL website and celebrated the uniting of an inspired and motivated community committed to overcoming the learning crisis through the adoption of evidence-based education approaches. The event brought together over 70 curious and engaged participants from African ministries of education, donor organisations, and education NGOs from 18 countries, connected by their mutual dedication to get children learning. 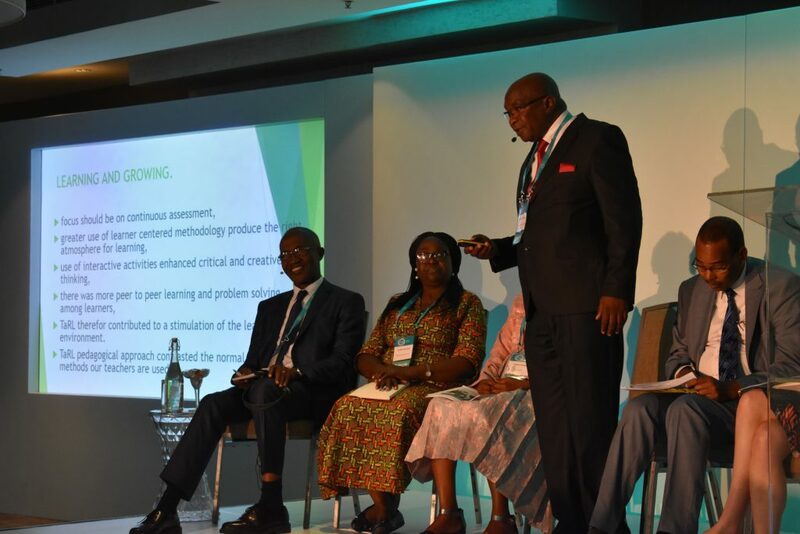 The two-day conference focused on providing participants with practical insights to strengthen TaRL implementation, drawing on the deep and varied experience in the room. It also provided tailored sessions for building a shared understanding of the roles of different players in addressing the learning crisis and how to best work together to make real progress. The presentations, panels and case studies were interspersed with productive tea and lunch breaks during which participants excitedly discussed the potential for future collaborations and engaged in passionate debates on popular education policy topics like the role of technology in education and language of instruction for foundational reading and mathematics. Mahuba Hazemba speaks about the Catch Up programme in Zambia. Fellow panelists were Raoul Kone from Côte d’Ivoire, Cynthia Efua-Sam from Ghana, Angela Tsheole from Botswana, and Habbat Abdi from Kenya. The role and importance of assessment within TaRL programmes and as a way to shift the focus of education systems to foundational skills. How to effectively recruit and motivate volunteers, engage communities, and support teachers through coaching and mentorship. The highlight of the day was a panel discussion on government’s perspective on adopting Teaching at the Right Level. Angela Tsheole from Botswana’s Ministry of Basic Education, Raoul Kone from the Côte d’Ivoire Ministry of Education, Cynthia Efua Bosumtwi-Sam from Ghana’s Ministry of Education, Habat Abdi from Kenya’s Ministry of Education, and Mahuba Hazemba from Zambia’s Ministry of General Education shared their rationale for implementing TaRL-inspired interventions in their contexts as well as the successes and challenges of implementation. Creating and strengthening monitoring systems and feedback loops. The challenges of moving to scale. How to collaborate to build stronger TaRL programmes across various organisations and Ministries. Throughout the day, key questions emerged about how to ensure quality at scale, including making sure that mentoring and monitoring remains effective at scale. The TaRL conference and website are part of a continued effort to bring together implementers, policymakers, and supporters of TaRL and TaRL-inspired programmes to share, learn and work together to proactively address the learning crisis. Want to learn more? Visit the website to see a recap of the conference and download slides or read more about the approach and community. Have your own conference reflections to share? Visit the TaRL forum and post about your experiences.